I do believe he was on RA, but only for a bit. He rarely posted after a point, and only made real points when he did (ie. not "Keep up the jolly good work, Jabroniville, as I move your thread 3/4 the way down the front page because I commented on everybody else's" ). Libra's fine, as far as I know. We just exchanged holiday pleasantries by email. He's a young guy (early thirties at most) who just stepped away to concentrate on his career and continuing education. Okay, so... I'm back. Glad to see that I was missed. Nothing terribly exciting or interesting to explain my absence. My family life and work life just got really busy, I wasn't gaming as much, and I was still kinda feeling some bitterness over the awkward way that the ATT ended. I meant to take a break of a week or two... That suddenly became a month or two. Then, like, a year. I'm back now. Not sure what, exactly, I have to offer the forum. Other than my gentle mocking of Thorp. I'm always good for that. Well, I always enjoyed your insight into characters, even if it was different from mine (and therefore wrong ). for starters, you can go through my thread and comment on all the builds you missed! Otherwise just keep reading & commenting like the old days . Glad that our major worries were largely unfounded. It's always a bit worrying to see someone completely disappear from a site, especially since cyber-stalking wasn't producing any easy answers on my end! Welcome back BG! Good to see you again. We left your seat open right over . . . .
. . . . anyway, welcome back! Don't let him fool you. Alfred dusted your seat every day. Alfred ? Wasn't it Randall ? Randal isn't allowed in the Batcave. Oh! I should note you missed that most important of questions: "WHO IS YOUR OVERWAIFU?" Umm... I’ve never actually played Overwatch. But my Young Ward’s favorite character is Tracer. She hasn’t played either, but she does watch a lot of YouTube videos about her. 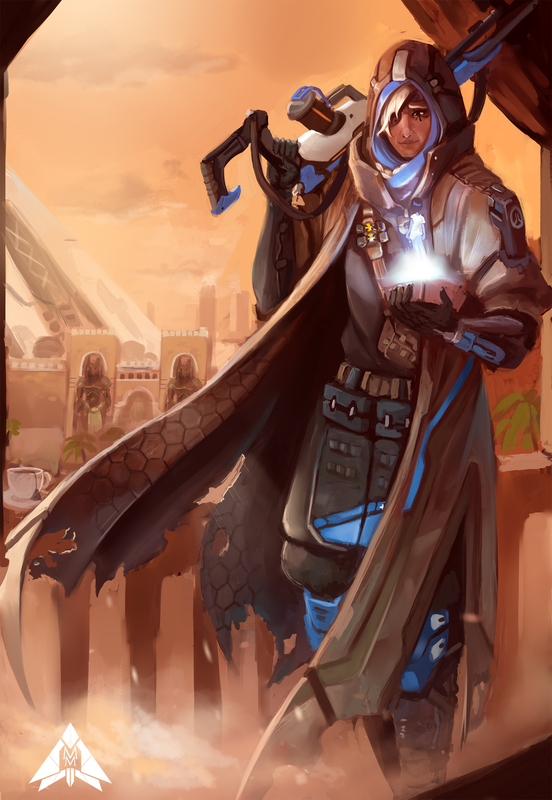 When I was more actively involved in FPSs, I loved to play the sniper and whenever I play an MMORPG, I love playing the healer... it’s my understanding that Overwatch has a sniper-healer? There you go. Dat’s my waifu. Actually, my question was more along the lines of "which OW characters do you find most drool-worthy?" We had quite the spree of that on my thread. Everyone's got a "type" represented in a case with such a wide array of body types and personalities . Batgirl has sadly ghosted again, disappearing in the early phases of my game in the "Gaming Table". No explanation or anything, but this is the second time. Hopefully she makes another return. MacynSnow made a post in early October, stating that renovations and moving needed to happen, but the timetable was moved up on him, and he hasn't returned to the forum since. I really wonder what happened to him. He was a cheery conversationalist on various threads of mine. Yojimbo is an odd one. A pretty active build thread, and then I noticed a while back that he hadn't been around for a while. A search of his thread revealed that he not only bailed, but he DELETED ALL OF HIS BUILDS, which is a pretty drastic, time-consuming move. As I'd never heard of any arguments he was having with anyone here, it seems very shocking and inexplicable. Does anyone know him from elsewhere? Why would he do such a thing?